Zong introduces an exceptional mobile application for its customers. Zong is first telecommunication of Pakistan who has launched this kind of application facility of its valued subscribers. The service application name is “My Zong App” and customers can easily install that wonderful feature from Google play store. In this modern era smart phones operators are increasing day by day and largest numbers cellular operators consider to use smart phones. There is multiple smart phones offer facility of downloading applications. This telecommunication always prepares to launch modern facility for its modern subscribers. This telecommunication has generated an incredible mobile app for all the cellular users who are connected with this network. Now all the cellular users of this telecommunication can easily install this app from the Google play store option and avail multiple facilities through that mobile feature. My Zong Application provides multiple facilities of subscribers this is complete customer care app of this telecommunication. All the cellular operators who use service of this network and have smart phones so they can easily avail that an exceptional feature of this telecommunication. Zong always prefer to offer modern service of its customers and this feature is the perfect an example of this telecommunication. 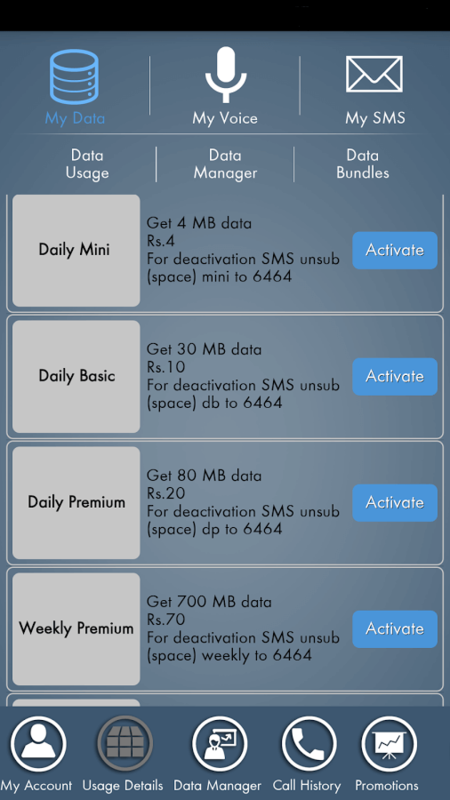 This is such an amazing feature has created by Zong for its customers in past nobody can think we will avail this kind of mobile application feature to check all the details of SIM account but this network made possible for its consumers and from now users can check and change multiple things of SIM account by using that feature. 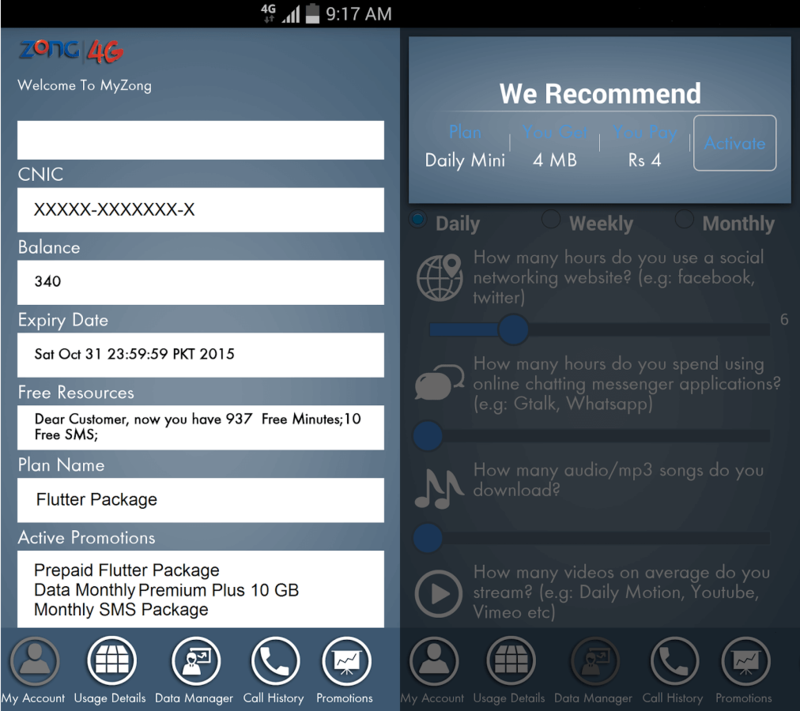 Following are facilities available in MY ZONG APP. Customers can check usage details and tariffs details by using that feature. Subscribers can view remaining resources of packages and also end date of validity by using it. Now subscribers get all the information about packages and offers with correctly through that service. Data manager facility is available in this service it can use to manage contacts list and SMS history. The subscribers can add any contact number and change any contact number by using this service. Call history option is such a precious facility for the subscribers and there are lots of people who want to check and change call history on regular basis. This service provides call history facility of consumers. 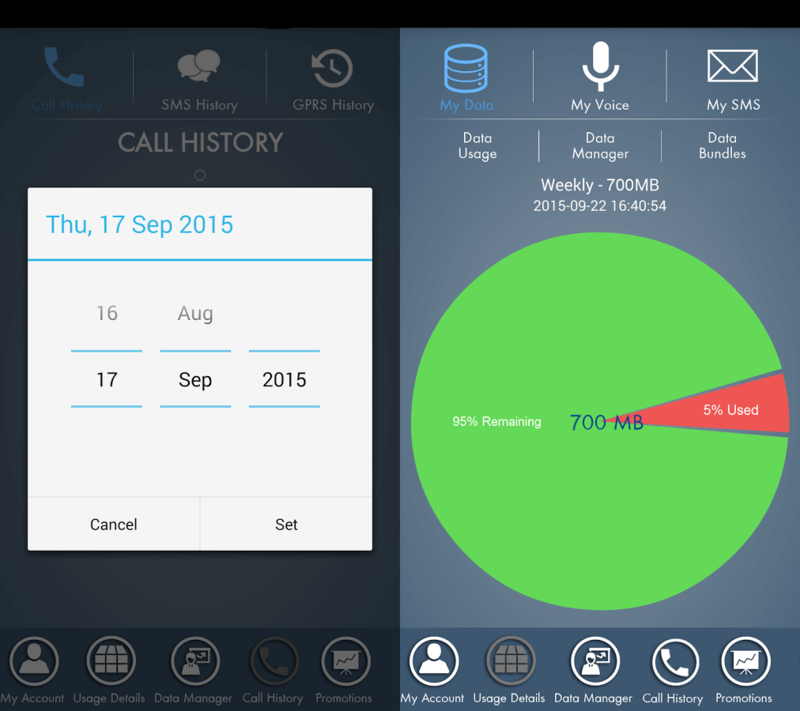 They can easily get details about all the call records by operating that APP. A card recharge option is available in this facility. Consumers can easily re-charge card via this service and get earlier remaining balance details from this feature. If any consumers want to search official franchise of Zong so this application is providing FIND US option for its customers. Now users can easily search all franchise locations of this telecommunication by operating that application. There are few others options available for consumers like Promotions, VAS and Funkit. Users can also avail these features through this app. This is simple smart phone application and users can install from Google play store option. This APP is available in Google Play Store.